Postcard flags Happiness. 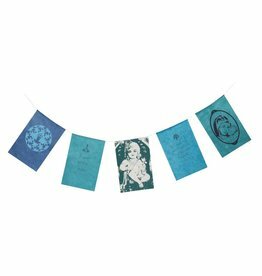 This postcard is based on the prayer flags that you see everywhere in Tibet and Nepal. It is believed that when the flags are moved by the wind, there is prosperity send to all and everyone. 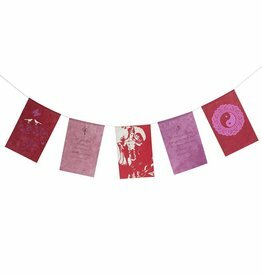 This flags with the theme Happiness are Fair Trade made in Nepal of handmade paper. 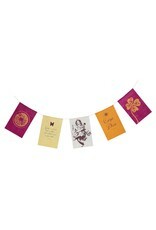 One package contains a string with 5 flags, a handmade paper to write a personal message and a orange envelope. 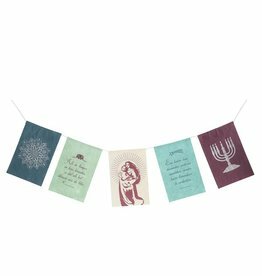 These flags are only available in Dutch. 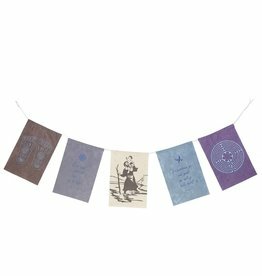 The dimensions of the postcard are 16 cm x 11 cm, and the flags have a size of 15 cm x 10 cm. The length of the flags line is about 60 cm.